What happens when they start dealing in misery? What if their bread is earned when people bathe in blood and tears? Nothing much, it makes some very engaging and entertaining television. Not implying that they cause the misery themselves, although you could always speculate, but the world has enough troubles to keep people occupied at the same time anyway. After all, it is a huge planet. But it is a small world. Everyone seems to know everything, even though they understand nothing. But at least everyone gets to know what is happening around. The media are there to tell you that. News every second of the day. Well, if you look at the world headlines, they hardly stretch past three stories, but of course, that is not the case with the domestic issues, which in case of certain countries, as the ones located in the subcontinent are rather of a violent and unpleasant nature. There are crimes and misdimeanors and then there are natural calamities, floods, earthquakes, plagues and epidemic and accidents. There also is terrorism, the latest spice in the soup of misery, the one we sip day after day, night after night. The one that tastes unbearably horrible, but the one that we have grown addicted to. Like a junkie who cannot afford to buy his favorite drug anymore and suffices himself on whatever thrill he can find. Writing about misery is like waging wars. You need to find some evil to write about, to whine about, just like you need to create some evil to wage war against. Oh, pardon me, find evil, or realize its existence wherever it maybe and in whatever form, especially Weapons of Mass Destruction. But there is always enough supply of what is considered to be evil in our world, if anyone sets their mind to write about it. Their task is much simpler than that of the general or the politician or the diplomat-statesman. But then again, there are the overzealous, and then there is professional competitiveness. The eagerness to cover and report the story first, the eagerness to determine the cause and effect first, the eagerness to declare the verdict first and most of all, the eagerness to sell the misery first. The winner takes it all and the early bird catches the worm. You need to be at the right time, at the right place, with the right words. Just leave any sense of civility at home, if you happen to have it. Some people died of a terrorist bomb blast. Oh, jolly good. But strategy first. You, move to the crime scene, you, the hospital, you, call the buffoon Interior Minister, you, call the retarded Chief of the Police, you, call the sadist analyst, you, shoot the corpses, you, write copy and you, read the bloody news. And tell the marketing guy this is why the headlines should just follow that ad that we run every hour. They are doing an excellent job. Somebody has got to do it anyway. People need to be informed of what is going on in the world. But of course there comes a time when it is all too obvious that too much information for comfort is being attempted to be published. Something that certainly no one wants to know, or even see. But it is information nevertheless. The more information, the better. As news reporters, we intend to bring you the very emotions that people go through when they lose a loved one. We go beyond impersonal facts. We bring you, the reality. And did we say that we will entertain you as well. We see a crowd gathered around a house. We walk in. We see a corpse lying in the middle of the room, clad in a white shroud, surrounded by women of all ages, who are wailing and crying. We see our correspondent. Walks up to the crying mother. What exactly happened here? How did he die? Although I know. of how exactly she is feeling. Walks up to a five year old girl who looks shell shocked. The correspondent thrusts his microphone in front of her face. She starts staring at it. A man standing beside the girl, whose legs are the only things visible in the scene, pushes the girl to speak. No response. Do you miss your brother? We hear a depressing sitar or sarangi Indian classical music tune to go with the sentimental response. We see the corpse of the young Bilal pictured in a psychedelic fashion. Little Bilal wanted to be a pilot in the Air Force. But now, he cannot. And remember, you saw this exclusive report first on <insert name> Channel. Stay tuned for more action. I could make a few bucks selling this scene and these lines to a local news channel. But then again, it would be plagiarism. I stole the idea from one of them anyway. Dengue fever. I had heard the name of the disease quite a few times throughout my life, ever since my childhood, and I had always taken it lightly. Of course you are not supposed to get freaked out by a disease you don’t even know about when you are a child, until recently as all that changed A serious dengue fever epidemic broke out in Punjab with its greatest concentration in Lahore. Thankfully, as yet, I or anyone that I know personally have not been infected yet, which is a great advantage of not living in Lahore right now, or say, the parts of Lahore which are getting affected the most, as there are many cities within cities. Becoming sick in a country where an epidemic outbreak is wreaking havoc can be a very dangerous feeling. 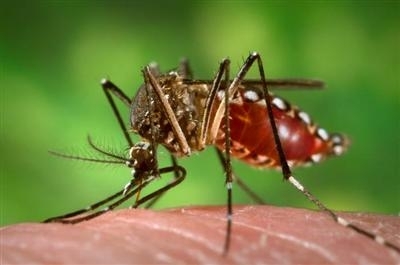 In case of dengue fever, caused by dengue virus of the genus Flavivirus spread by the Aedes genus of mosquitoes recognized by its distinct white spots or stripes, the very thought, let alone actually contracting the fever, is probably much more excruciating than any other disease. There is a reason for that. The symptoms of the disease are so vague and commonplace that everyone who gets ill can start fearing for their lives. Of course, the bone-breaking part of the fever and the appearance of the rash are very specific symptoms that point towards dengue fever, but other than that you would never be able to tell if you have the virus in your veins and if you are in risk of developing serious complications that it could lead to. So it is only natural that the entire city turned up to get themselves tested for dengue fever at hospitals in Lahore. What makes things even worse is that in many cases, it remains asymptomatic. Surviving with the dengue fever virus can be alright, but that exposes other people to the risk of infection. 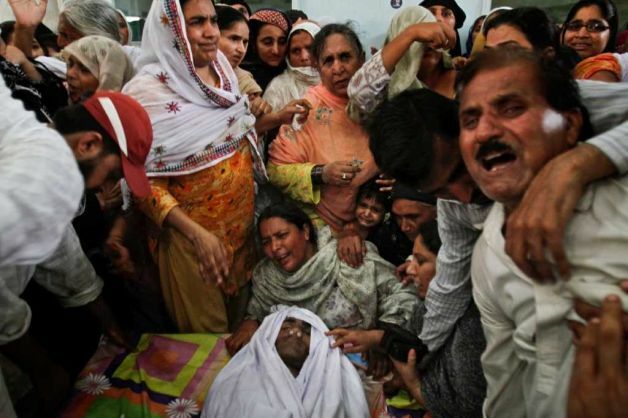 No one would be afraid of, or even give a damn about the dengue fever thing had so many people not died because of it in its present outbreak in Lahore, with over 5,000 cases reported, over 100 lost their lives and many ill even at this time as I write these lines. I have not kept the exact count of the deaths caused by the epidemic, or at least that is what have been thought to have caused those deaths, but each time you hear the news of more deaths, it shakes you for a minute, frightening you, while also alarming you and renewing your caution. Although statistically, the death toll resulting from dengue fever is supposed to be extremely low. Maybe, the deaths caused by now have been extremely low. Who knows. One death seems a lot. This is where an epidemic can be frightening. It is living among death, in a sense. But not too much. I recall that the world has seen worst epidemics, and pandemics for that matter. Wonder how they would have lived through the Black Death. There is no vaccine or treatment for dengue fever, they tell me. This is how much control we have over the life of the patient, but the treatment is based on symptoms. This makes you wonder how helpless we are. The only way to evade the disease is to kill mosquitoes and not to let them bite you. Simple. But it is not that simple. At the same time, the politics people argue about it as usual and people die, suggesting that perhaps not even an alien creature can unite the human species. So much for Roland Emmerich’s ideals. If you don’t believe me, you can enlarge a mosquito to giant size and see for yourself what I mean by the alien creature. Now I spend my days dodging it all the time. Although dengue fever poses a statistically small threat of hemorrhagic fever resulting in death, but how do you know you are not under the risk when you suffer from it. And there is no way to kill the microbe because it is a virus, yeah right. That’s just about how strong human beings are on a cosmic level. The question is what is the point of creating all the sophisticated weapons in the world, which are supposed to protect you, when you cannot even protect yourself from a damn virus, or even a mosquito if its occurrence is not prevented in the first place. This also raises a question about priorities. Neither will everyone see this nor necessarily agree with it, but why cannot humans as a species concentrate on research that allows them to overcome microbes and diseases resulting in severe complications and deaths with increased focus, and I mean spending more on it than on other apparently useless ventures, as I am sure medical research is always an ongoing process and has made tremendous progress. Because to me, the measure of the scientific progress of the humans is the absence of a vaccine for a microbe that causes a deadly disease. And I am not even talking about the efforts of the local governance because usually this particular disease breaks out in countries with low resources and generally incompetent and/or corrupt governments. However, I salute all the medical professionals whoever they are and where ever they are working against this epidemic and curing people and most of all, offering them hope for life. I can never do that. Believe me, you live like never before after you have a close encounter with death. Why not wage wars and Crusade and Jihad against mosquitoes, especially the Aedes genus of mosquitoes, instead of each other. At least I am declaring Jihad against mosquitoes. I never thought I would have to see such a time in my life, as neither would have you. Nobody told me. Maybe Nostradamus did, but even if he did, which can be highly debated, who listens to him anyway? But imagine this. It was a decade of wars and countless terrorist attacks, which cannot really be excluded from the wars, and perhaps just near or around or more than or less than a million people dying because of it and it is still going on. The best part is that most people don’t even know who they are fighting. Or what. Of course you cannot expect just anyone to know that. Only President George W. Bush knew who and what, and he told us. It was the decade of Terror. Who is hiding terrorists? Afghanistan? Saudi Arabia? Yemen? Somalia? Egypt? Gaza Strip? Pakistan? Good chance, we are told that Ben Laden was killed there. Is Iran terrorist? No, they just officially threaten to bomb Israel. These guys seem to be all over the place. They were certainly not in Iraq or were they? No one really knows for sure. Ah, Iraq. They found nothing in Iraq they told us (except oil and sand) and poor Saddam was found in a manhole and was executed through the Law of Justice. There is a good chance that they are in the North Western parts of Pakistan. Actually that is one place we are sure of. But they don’t seem to die and fade away even after a decade. Actually they seem to be receiving their funds for the war quite regularly. Nobody knows how. Maybe the local mosque charity funds. No one even knows for sure what the terrorists really look like but this is what we know. We are told that they are like the scary people in the Al-Qaeda videos. Heavily bearded, or not. Many 9/11 hijackers were clean shaven, but scary nevertheless. Sometimes covering their faces, as in burkas, which is precisely why the French banned it, waiting for others to follow. 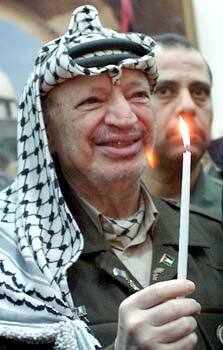 And some may wear that Jihadi piece of Arab headgear-cloth thing in the manner of Yasser Arafat, but that’s too obvious. They speak Arabic mostly, but may as well not, as some are the Pashtun Taliban and the Punjabi Taliban and the Chechen and the Uzbek and the Pakistani and the Indian and from many more countries, and they sometimes seem to be carrying a book with cryptic messages. They are known popularly as Islamists or Muslims who want to take over the world, so at least we get the direction. The only problem is that it is hard to determine which Muslims want to take over the world and which don’t and it would be difficult to know if they are lying. The problem is that there are 1.57 billion of them, that we know of. It is a really difficult situation. War: Still going on, indefinitely. Goals: Destroy Al-Qaeda – Somewhat. No one really knows for sure. Destroy Afghani Taliban – Not achieved, at war. Destroy Pakistani Terrorists – Not achieved, at war. Destroy Saudi Terrorists – Oh wait. Kill Al-Zawahiri – Rumors. No one really knows for sure. Kill Mullah Omar – Rumors. No one really knows for sure. Kill the New Al-Qaeda Deputy – Not achieved. Kill the Next Al-Qaeda Deputy – Not achieved. Future Plans: No one really knows for sure. I am not saying the wars were not justified. All wars are it seems. Everything is the terrorists’ fault anyway. All I am just saying is that it has been a fucked decade. This is what it will go down in history. A Fucked Decade. Just an objective fact. Not concerned with the politics. Not saying that the earlier decades were any better. World War II, the Holocaust in the 40s. But this has been the fucked decade because it indirectly affected almost everyone. PATRIOT ACT. TSA. Policing. Global Recession. The rest is your imagination. I guess an overwhelming majority will agree. A lot of nice things happened in this decade too. Like the iPhone and iPad were invented, and Spain won the Soccer World Cup. The major social networking websites were launched, if that is a good thing. But all in all, it really has been a fucked decade. For some countries, more than others. You would not know if you are not living in one of those, or maybe you do. I am just glad that I made through it in one piece. If anyone you know who didn’t, I’m sorry. In the end, let us just hope for our dear lives that this is not the fucked century. I have a bad feeling in my gut that it is. No one really knows for sure. 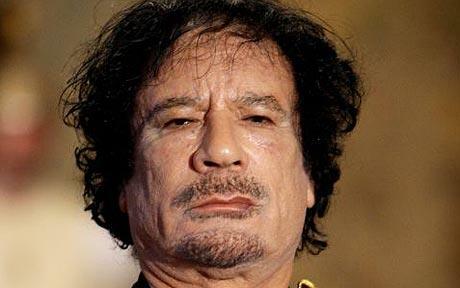 So the reign of the old Colonel, Moammer Gaddafi, has come to an end. Finally. All things must pass away, they say. A man, for example. Nothing lasts forever. But perhaps these taken for granted facts were something the illustrious dictator of Libya forgot. I would not go into the political echoes of the event, but just human lessons you could extract out of it and what the historian could tell you about it. Still politics is as related to the matter as the eye is related to sight. Everyone has a loathing for Gaddafi for being brutal and cold-hearted and cruel for bombing his very own people. But at the same time, I could also imagine what would be going through his mind and in his heart. A falling dictator is the most desperate man in the world. So while I despised him for being cruel to his own people who paid for his luxuries, I also had a bit of sympathy for him and his family. Like I had for Hosni Mobarek of Egypt and his family. I don’t want them to flourish on the luxuries they do not deserve but I want them to live. For those who want them dead because they were responsible for the death of their loved ones is a different story. I can’t fully understand death for justice so I would leave the subject to those who do and be thankful as long as I am not the one facing the shooting squad. But I still think their families are innocent and deserve to live. Establishing this point, let us move forward. Royalty. which need not be hereditary and let me integrate it to the modern times despite the general despise of monarchies and the popularity of republics, bears the burden of the sins attached to its name. This is what the history tells us. Think of the Romanovs, murdered in cold blood in some oblivious house and picture the young Alexei and Anastasia and their other sisters dying, simply because they were the children of Czar Nicholas II. Cruel from a human viewpoint, but just the right thing to do maybe from the Bolshevik perspective. Maybe it was necessary because an Anastasia appeared in Germany several years later. In the modern times, families of government figures may be allowed to live in peace if they remain quiet, just like the son of the exiled Shah of Iran. Gaddafi had a choice of fleeing Libya much earlier than he did. He could have read the writing on the wall. Even a child watching TV could. But maybe Gaddafi wasn’t watching TV or he would have known. Instead, he was hoping to cling on to the throne he had been clinging on to for nearly four decades. It is was too dear to him, maybe more than his family, which is why he lost his sons and grandsons in the battle for it. It is not a question of right and wrong or good and evil here. It is a question of being a victor or a loser. The rebels were backed by the NATO and Gaddafi could not have expected to resist them for long, so in the end his rule was limited to his palace in Tripoli. So he retreated too late. I was keenly waiting for the news of his escape to another country, but the more it was delayed, the more I became convinced of his delusions, erratic thought process and messed up priorities. He was stuck somewhere in the middle of being a man who never wanted to give up and who was too afraid to die. A spectator and a historian would never be able to make up their minds about whether to hate the man or whether to have respect for him. Most of them would comfortably eliminate the latter option, as you cannot really have a lot of respect, if at all, for a man who cannot really make up his mind between his family and his throne, and not sure of what was more prized to him. But maybe anyone else in his place would be torn apart in the same dilemma. Being as resourceful as he was, it is easy to say that he could have easily found his way to a safe country with his family. For a moment, I thought Gaddafi was fighting for his pride and his glory. That he would fight to the last bullet in the barrel and the last drop of blood in his veins. The kind of dictators who would rather commit suicide than be overpowered by the enemy and captured and humiliated, like Adolf Hitler of the Third Reich or the great warrior kings of Rajputana. But no, he even wasn’t that type. A confused man or one who was caught in the whirlwind of circumstances. Who can tell but himself. But we can see where he was wrong and what he could have done to minimize the damage. The throne was already lost and there was no other way to it. Had family been the first priority of Gaddafi, he could have left Libya with them way too early than when he really did. I heard the news that his daughter gave birth to a child when he reached with his family in Algeria. This is what the difference can mean. Life and death. I guess one of his sons died in the action, fighting against the rebels, or in a NATO bombing. Maybe they did not have to do that. Maybe he did not have to be so brutal to the public. Maybe he could have had enough foresight to realize that his end was near. He could have run away way before the Bastille was overrun. He did just that but he also assigned the task of guarding it to his loved ones, if that is the right term to use here. Not all dictators give their power away so violently. There was Pervez Musharraf of Pakistan, for example. Not all are too smart, recall the way Saddam Hussein ended up. Maybe he didn’t have many friends. A huge mistake for a dictator. Gaddafi was made to give up his power just like every other dictator, but he seemed more like a child separated from his toy, if you ignore the innocence part. But still you would expect him to foresee it. I think it could be a completely seperate and dedicated area of research, how dictators should escape their impending doom. Survival can make man do crazy things and the things that Gaddafi did would go down in the history as among the craziest. So if you are a dictator and love your family a bit more than Gaddafi did or love your throne a bit less and if you are fighting against the NATO, it is better to make an early, safe and pleasant escape to a country like Algeria if Saudi Arabia refuses to accept your entry. It remains to be seen if he will be tried for crimes against humanity. That also depends on how many friends you have, and how many you run out of. I just happened to glance past a New York Times photo feature based on the family pictures of Gaddafi found in his palace, which now lay in ruins. I have no idea why the American publication felt the need to publish it, maybe to emphasize the humiliation faced by the man and his family, but I leave you with it. In the end, you have to come to the point when you need to decide whether you are a dictator or a human.